Fort Mill, SC , November. 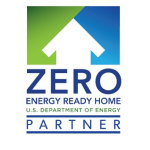 27, 2015 /PRNewswire-iReach/ — Net Zero Contractors Element Series geothermal systems in there line of net zero homes. The Element series geothermal systems are expertly designed to be technologically advanced, exceptionally efficient and smaller than the alternatives. The Element Series compact vertical packaged model is the perfect unit for installations where space comes at a premium.